Leading pastoral theologians explore a wide variety of themes related to pastoral practice. 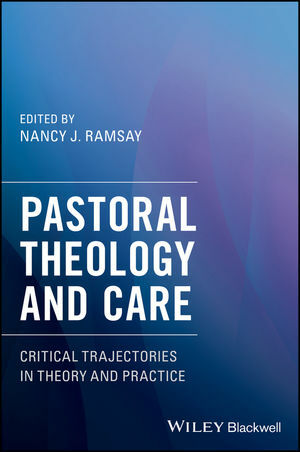 Pastoral Theology and Care: Critical Trajectories in Theory and Practice offers a collection of essays by leading pastoral theologians that represent emerging trajectories in the fields of pastoral theology and care. The topics explored include: qualitative research and ethnography, advances in neuroscience, care across pluralities and intersections in religion and spiritualties, the influence of neoliberal economics in socio-economic vulnerabilities, postcolonial theory and its implications, the intersections of race and religion in caring for black women, and the usefulness of intersectionality for pastoral practice. Each of the essays offers a richly illustrated review of a practice of pastoral care relationally and in the public domain. Filled with case illustrations that make chapters pedagogically useful, Pastoral Theology and Care is essential reading for faculty, seminarians and students in advanced degree programs, and pastors. Nancy J. Ramsay is Professor of Pastoral Theology and Pastoral Care, Brite Divinity School, Fort Worth Texas. Previously, she served on the faculty of Louisville Presbyterian Theological Seminary as the Harrison Ray Anderson Professor of Pastoral Theology.